The French Press, also known as a coffee plunger, cafetiere or press pot has been around for over 100 years. It is a simple brewing method that can produce great coffee. However to achieve the best flavor it is important to know which are the best coffees for French Press. 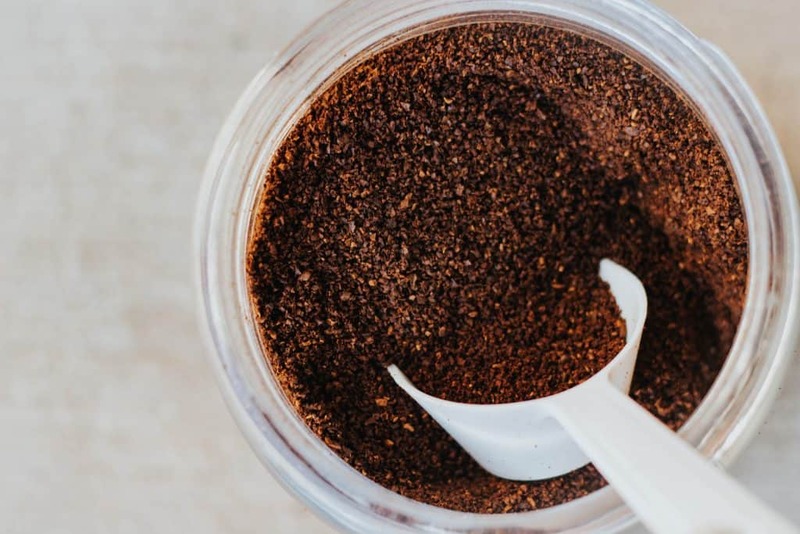 We are going to explain how each of these three criteria impact the quality of your French Press brew, but, if you just want our top picks, here are three of the best coffee beans for French Press brewing. 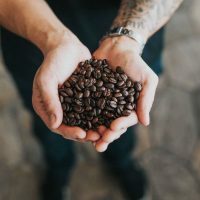 Before we get into the ins and outs of the best roasts and grind for French Press, do you want to know what is the most important factor to brew great coffee? Fresh, whole coffee beans. Why? Well, there is a whole lot of flavour wrapped up in each little coffee bean. Once it is ground, everything changes, quickly. The coffee grounds oxidise, their aroma changes and the oils that give the coffee much of its flavour dry out and disappear. Pre-ground beans are convenient but the reality is you will never achieve a full bodied flavour with them, particularly in your French Press. Purchase freshly roasted whole beans (ideally roasted within the last 30 days). Buy smaller quantities more often to ensure the freshest beans. Grind only when needed to ensure maximum freshness. To achieve maximum freshness you could consider signing up for a coffee subscription service. Each month fresh coffee beans are delivered to your door! Not only is this a great way to have a regular supply of fresh beans, you will also get to experiment with a variety of bean styles to find your favourite. Pick your plan and get coffee delivered on your own schedule. Join Driftaway today! French Press brewing requires a much coarser grind than most other coffee makers. A coarser grind is needed as the coffee grounds are steeped in water – more surface area means more flavour extraction. The grind size should be between .75mm to 1mm. A good way to test whether you have ground the beans to the right coarseness is the pressure you feel when pushing down on the plunger. Too fine and you will struggle to get the plunger down to the bottom. Too coarse and you will fly straight to the bottom with little resistance. Obviously if you want to use fresh beans you are going to need to get your hands on a coffee grinder. It is a well established fact one of the secrets to a good quality brew is freshly ground beans. The way to achieve this when making coffee at home is by purchasing a good quality burr coffee grinder. They aren’t cheap, but they will produce high quality grounds for years. It is possible to achieve great coffee from any machine, including a cheap espresso machine, if you use freshly ground beans from a quality burr grinder. For any avid coffee drinker, investing in a good quality coffee grinder is essential. Lastly, if you absolutely HAVE to buy pre-ground beans, our best tip is to buy whole beans in small quantities each week. Ask the barista at your local coffee shop to grind them for you at the correct coarseness. Store in an air tight container in a cool place. Each brewing method benefits from a particular roast and the French Press is no different. Here is a brief run down on the types of roasts and which are best suited for the French Press. Light Roast: These coffee beans tend to be light brown in colour with little bitterness or oil on the surface of the bean. They have a delicate flavour which doesn’t make them a great choice for brewing in the French press. If you love this style of bean we suggest you skip the milk as it will overpower the delicate flavours. Medium Roast: Slightly darker in colour, medium roast coffee beans are dry with little oil on the surface. The roasting process brings out more flavour and aroma. They tend to be more balanced than light roasts and are the best choice for a French Press. Medium Dark Roast: Beans are slightly darker with more oil on the surface. Acidity levels are lower and the beans have more body and flavour. Tasting notes will typically include floral, chocolate and nutty flavours. Dark Roast: There will be noticeable oil on the surface, usually almost black in colour. Dark roast coffee beans have a robust flavour with smoky, bitter notes that come from the roast. 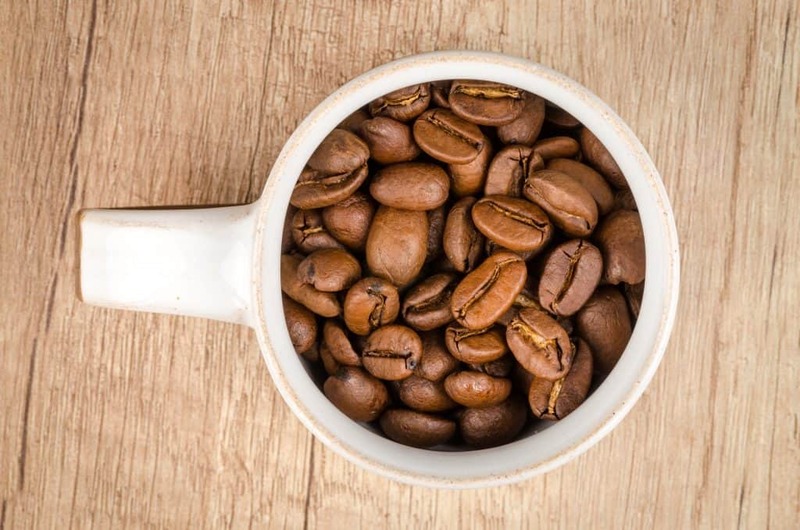 Dark roast beans are a traditional favorite for espresso and are not ideal for French Press brewing unless you like to drink coffee with milk, in which case the stronger flavour will still carry. The best roasts for French Press are medium and medium-dark roasts. They have more oil on the surface of the bean and a more robust flavour without being bitter. They will taste great if you enjoy black coffee. A dark roast is also an option if you prefer a stronger flavour or if you are looking for low acidity coffee beans. The National Coffee Association explains the roast types in more detail here but ultimately it comes down to personal preference. Our best tip is to experiment with different styles of coffee roast to make your perfect French Press brew. The ultimate luxury you could try one of these Kona coffee brands. Try single origin, try medium roast, try dark roast. Do taste comparisons between a number of different roasts at the same time to compare the taste. The quest for the perfect roast can be lifelong! Okay, now that we know what factors influence the best brew for a French Press, let’s get down to it. 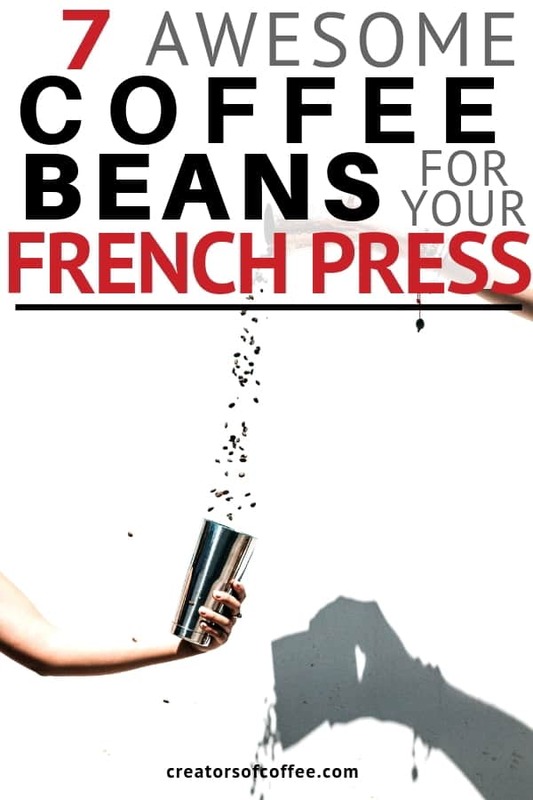 Here are 7 of the best whole coffee beans available to make great French Press coffee. Real Good Coffee Co Breakfast Blend Light Roast: Premium quality arabica beans from Central and South America. This is a light roast so best for black coffee drinkers. It has a light citrus flavour and a clean finish. 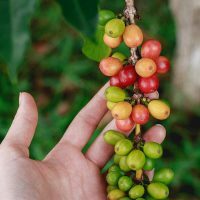 Find the best prices for Real Good Coffee Co here. Kicking Horse Cliff Hanger Espresso: Medium roast organic beans from a company with a strong following. One of the best coffee brands for French Press brewing. The finish is smooth with a berry aroma and chocolatey flavour. Check out the latest prices for Kicking Horse Cliff Hanger Espresso here. Two Volcanoes Gourmet Guatemala: Organic, single origin medium roast bean with a distinct regional flavour grown at the base of, you guessed it, two volcanoes. Small batch roasted to enhance the quality and offers a well balanced flavour for your French Press coffee. Click here to see the latest prices for Two Volcanoes Coffee. Ethiopia Yirgacheffe: A popular single origin medium roast from Fresh Roasted Coffee. Citrus and spice flavours with a sweet aftertaste. Ethiopian beans are renowned for producing flavourful coffee and this one is a great example from this region. This makes it one of the best coffees for french press brewing. 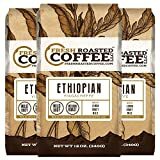 Read more reviews for Freshly Roasted Coffee Ethiopian here. Koffee Kult Sumatra Mandheling: A single origin, specialty grade, medium-dark bean from Sumatra. The flavours have been well preserved with hints of chocolate and cedar. A very popular coffee brand for French Press. Find the best prices for Koffee Kult Sumatra Mandheling here. 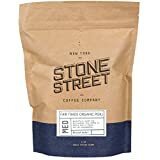 Stone Street Fair Trade Organic Peru: Single origin bean sourced from Peru. This is a light to medium bean roasted in NYC. It has a sweet and nutty finish and is 100% organic. It is a great choice for your morning French Press coffee. Click here to read more reviews on Stone Street Organic Peru coffee. Valhalla Java by Death Wish Coffee Company: Renowned for producing some of the strongest coffee around, this is a dark roast with maximum flavour. Only for lovers of robust and very strong french press coffee! 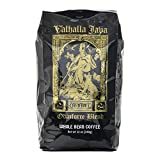 Check out the latest prices for Valhalla Java here. Finally, there is always a learning curve to make French Press coffee the right way. Watch the video below for a visual lesson. If you are confused by any of the coffee jargon, head over to our Coffee Glossary. Use freshly ground beans (yes, we will say it again!). Pre-warm the French Press to keep it warm for longer. Don’t use just boiled water. Let the water rest for a few minutes before pouring into the French Press. 195-205F is the perfect temperature range. Get the coffee to water ratio right (see below). Don’t steep the coffee for too long. Whilst there is much debate, it is generally agreed the optimum steeping time is 4-6 minutes. Many claim steeping for longer will reduce the sediment in your cup, so experiment and see what you find. Don’t leave any leftover coffee in your French Press. It will continue to brew and become bitter. Empty any remaining coffee into a cup for later. Iced coffee anyone? What is the ideal coffee water ratio for French Press? The “golden ratio” is 2 tablespoons of ground coffee for every 6 oz of water. For example, if your French Press is 34 oz, you would add 11 tablespoons of ground coffee to your pot (34/6 x 2). It seems complicated but once you get the hang of it makes it much easier to make a consistently great brew. 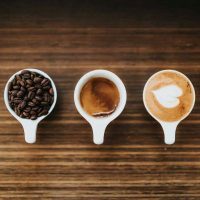 Flat White vs Latte – What On Earth Is The Difference?